ClimateCon 2018 is Asheville’s first conference on the business of climate, hosted by The Collider, a nonprofit center of innovation for a changing climate. The conference primary focus is The Business of Climate Forum, March 19-21st. It promises to provide a wealth of information for entrepreneurs & progressive organizations, to explore cutting edge climate-related challenges and opportunities. Science and Business professionals will explore climate challenges and innovations, centered upon advancing development of data-driven products and services. Attendees will identify potential uses and needs for climate adaptation and resiliency. Registration/Tickets available now. 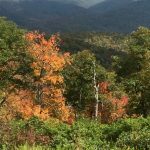 Climate City Experience – Asheville! 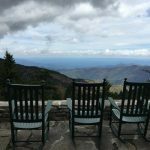 Asheville’s vibrant and eclectic spirit, may be savored the weekends before & after the conference, with special offerings throughout the community. For 10 days, between March 16-25th, area museums, galleries, breweries, restaurants, shops, and attractions will host climate-related events – designed to complement the conference for attendees. Come early and stay late, to enjoy your Asheville getaway via the Climate City Experience! 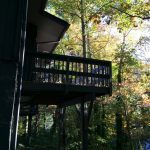 If you are looking for nearby, peaceful accommodations – the ModAvlTreehouse is nicely situated for guests to participate (and also retreat from) the conference. We are only 2 miles north of downtown and The Collider. Cindy and Lucinda (owners/managers) of the ModAvlTreehouse, are pleased to see this conference emerge this year. We have worked at NASA/Marshall Space Flight Center, on Earth-observation and climate-sensing payloads (and other spaceflight hardware) over the years. Experiences with climate research payloads such as the ISERV and Lightning Imaging Sensor (LIS) instruments on the International Space Station, have us particularly interested in ClimateCon. Cindy briefly worked with the NASA/Goddard Space Flight Center’s GOES satellite management team back in the 90’s, and gained insight into the NOAA weather and Earth-sensing instruments, payloads, and (local to Asheville area) massive NOAA data center management. 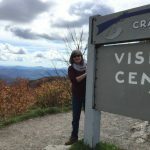 THIS conference and The Collider – are exciting new area developments – and we, the Asheville Space Ship Girls, are impressed!